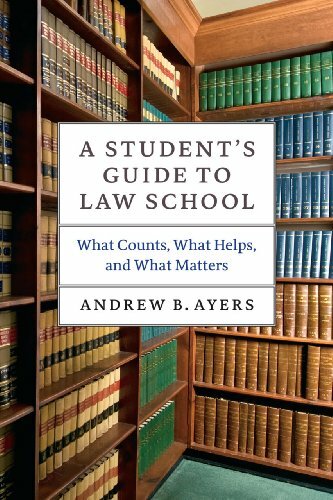 The purpose of this library guide is to provide our Law Students with a list of the resources available in our library that can be referred to for explanation and clarification of the ideas and concepts that they will be learning in their first year of law school. This guide does not list every resource available in our library, but it lists the most current and authoritative. The location of the item in our library is listed in the item description after the call number. Items located in the Reserve Room can be requested at the Circulation Desk. You can ask a librarian for assistance in locating an item in our main collection or if you would like to find a resource not listed in this guide. This guide is broken down into the required 1L courses at Touro Law Center: Legal Process, Civil Procedure, Contracts, Torts, Criminal Law and Property. All of the subjects, with the exception of Legal Process, are broken down into 2 sections: Treatises & Hornbooks and Study Aids. Treatises and Hornbooks give a more comprehensive, detailed explanation of legal concepts, whereas Study Aids, while still explanatory, provide a summary of the legal concepts, as well as outlines for study, and practice questions and answers for review of the concepts. Legal Process is broken down into Legal Writing, Legal Research & Reference and Legal Citation. Click on the item's title, to be linked to our online catalog, which contains a detailed description of the item. 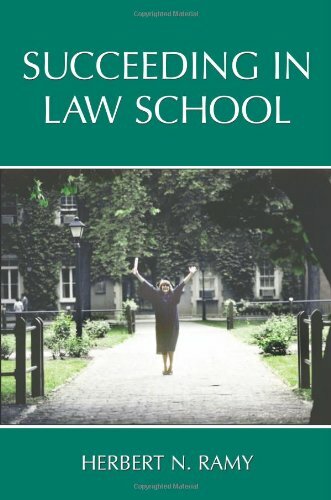 Demystifying the First Year of law School: A Guide to the 1L Experience by Moore, Albert J. 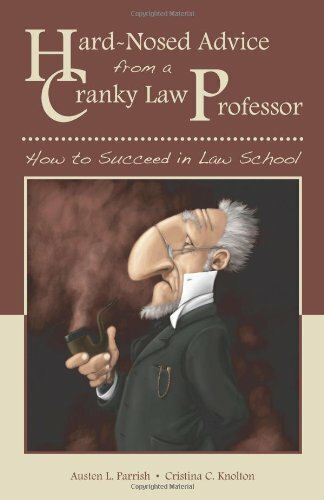 Hard-Nosed Advice from a Cranky Law Professor: How to Succeed in Law School by Parrish, Austen L. and Knolton, Cristina C.
How to Succeed in Law School by Munneke, Gary A. How to Succeed in Law School (Sound Recording) by Dzienkowski, John S.
Law School Success in a Nutshell by Burkhart, Ann M.
Law School Survival Manual: From LSAT to Bar Exam by Rapoport, Nancy B. and Van Neil, Jeffrey D.
The Law Student's Pocket Mentor by Iijima, Ann L.
Succeeding in Law School by Ramy, Herbert N.
What Every Law Student Really Needs to Know by George, Tracy E.